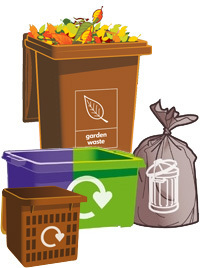 What is the purpose of the new housing for the bins? The residents of the Mexborough building have to deal with many problems regarding the inappropriate disposal of rubbish outside their building. Some businesses are using the bins to dispose their own rubbish while non residents and homeless people are searching the rubbish for anything valuable by opening all the bin bags. The new housing for the waste and recycle bins will prevent people for accessing the bin bags as well as improve the appearance of the communal area.